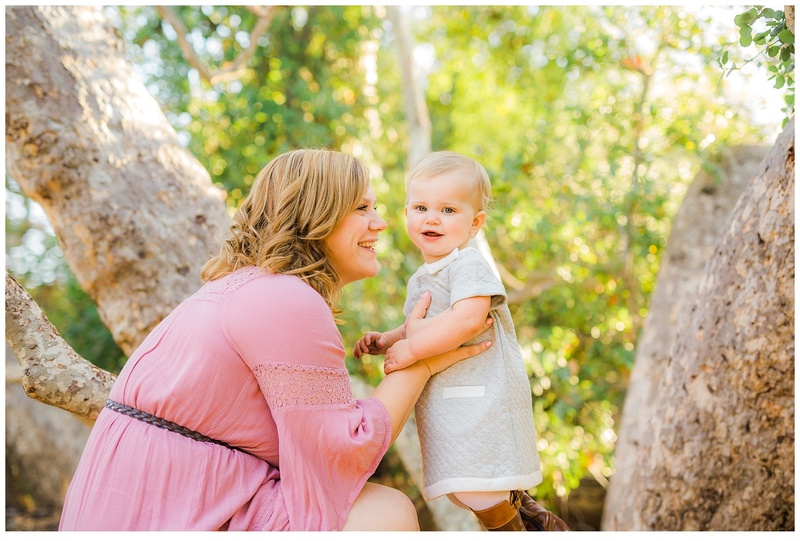 I loved photographing this sweet mommy and me session in Penasquitos Canyon Preserve, San Diego. 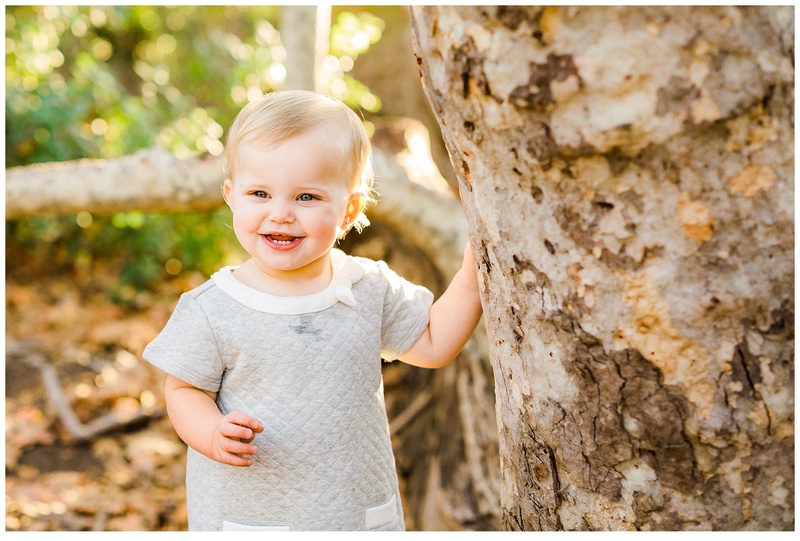 We lucked out with the most beautiful golden light filtering through the trees during our portrait session. This is the kind of light that makes my heart sing! 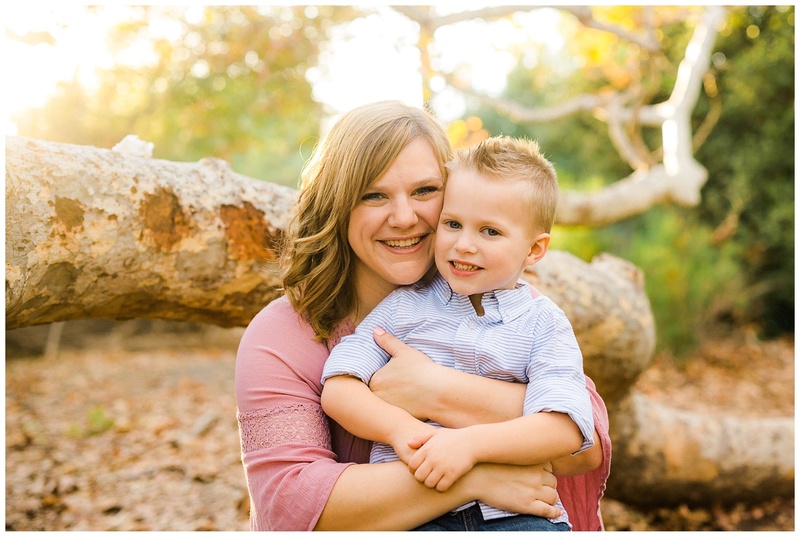 Mommy and me sessions are my favorite kinds of sessions to capture because the bond between a mother and her children is unbreakable. The connection a child shares with his/her mother is the strongest of all. 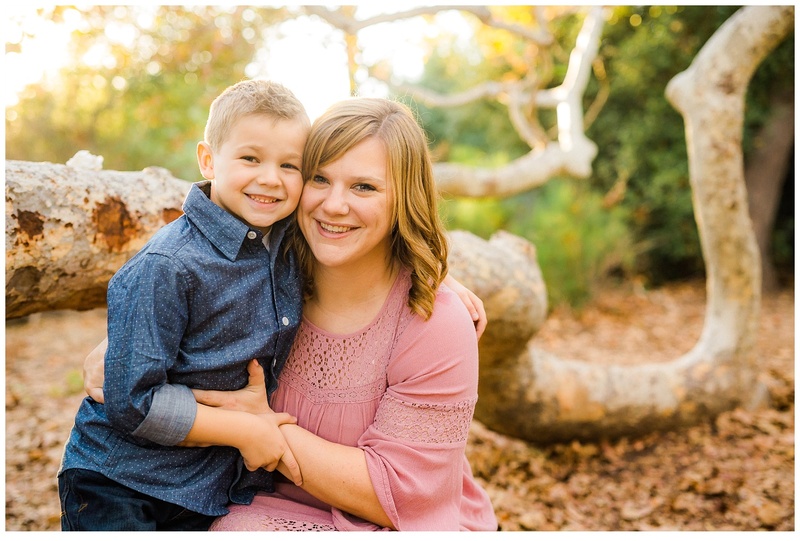 I love documenting this connection and telling these stories for fellow Moms. 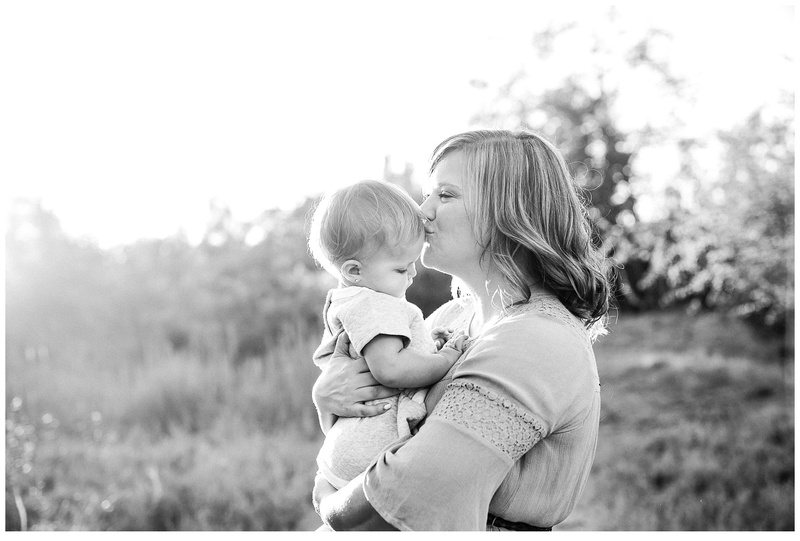 And lastly, I adore showing Mothers how beautiful they truly are, inside and out. 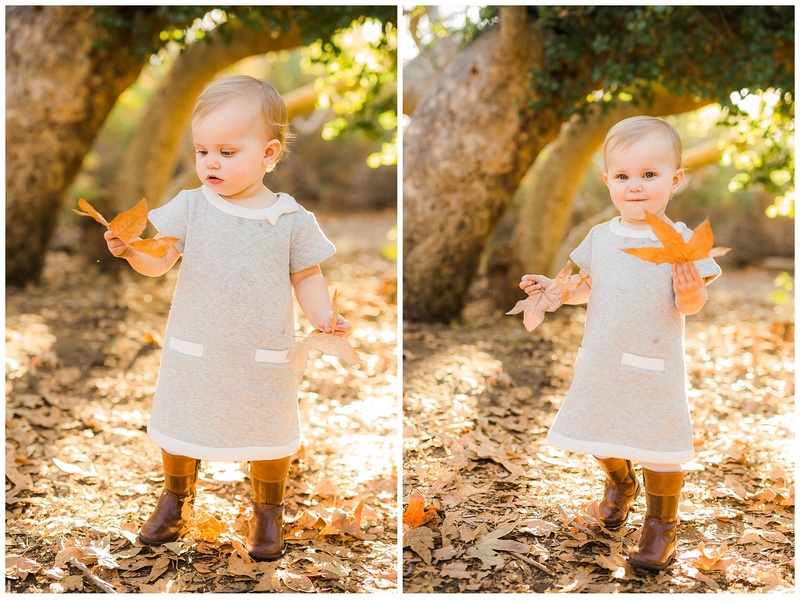 Also, can we talk about how adorable this little girl is with her cute little sweater dress and brown boots? I died when she showed up looking too cute for words. I remember having to do a lot of running around to photograph her. 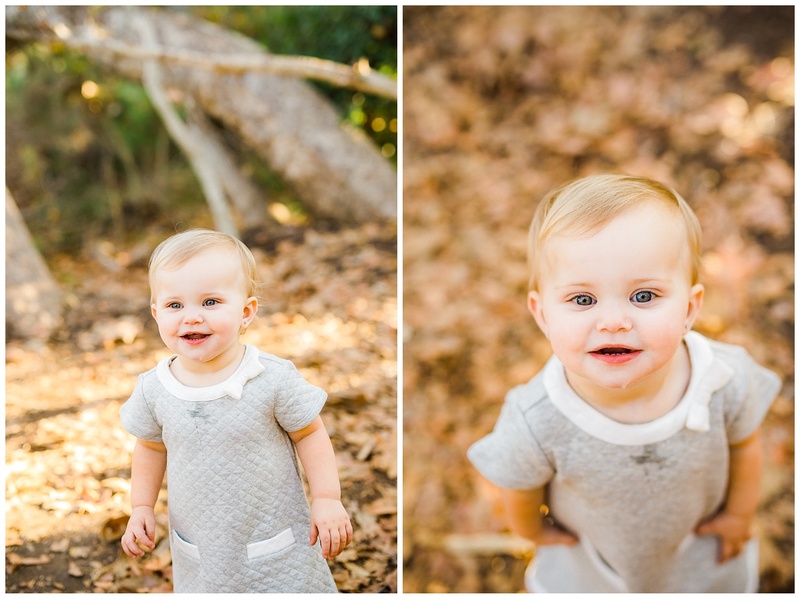 She just wanted to explore, but when she stopped to look at a leaf, I had to work quickly to capture that moment. 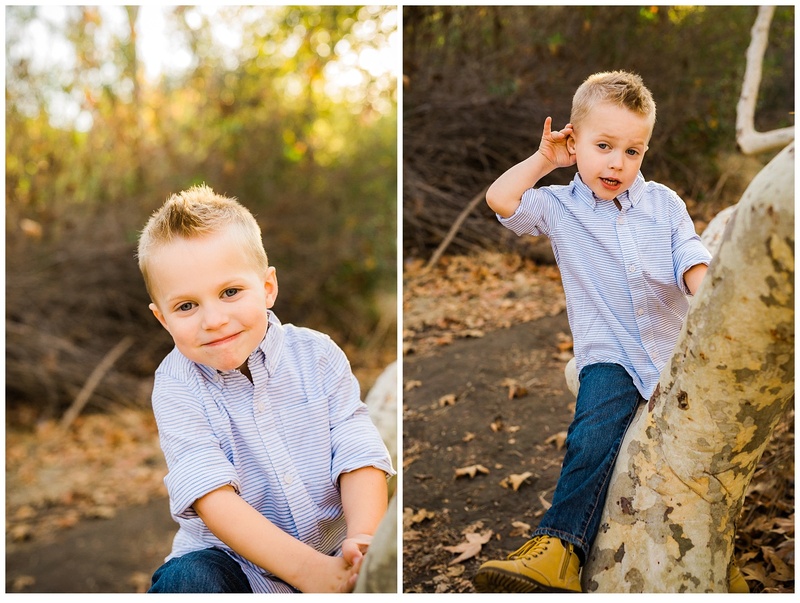 It is always a joy to photograph children, even when they do not want to cooperate. 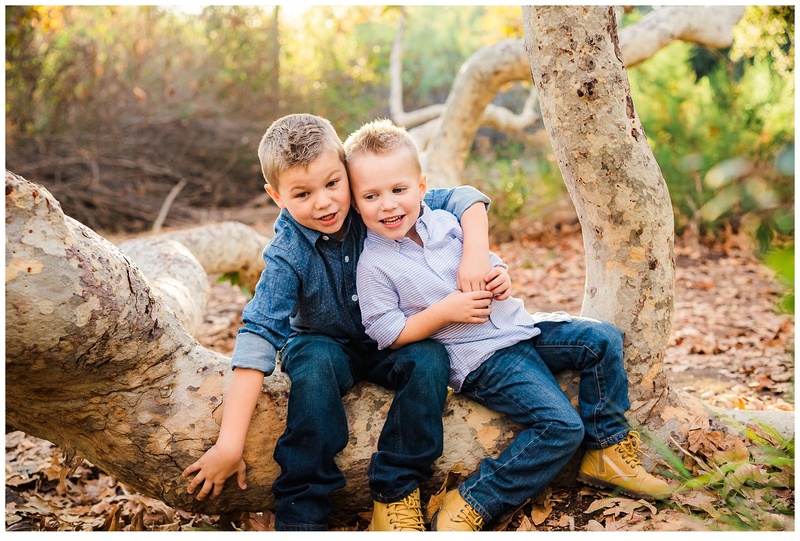 Too often, I hear from potential clients that they are unsure about scheduling a session because their kids may not cooperate. 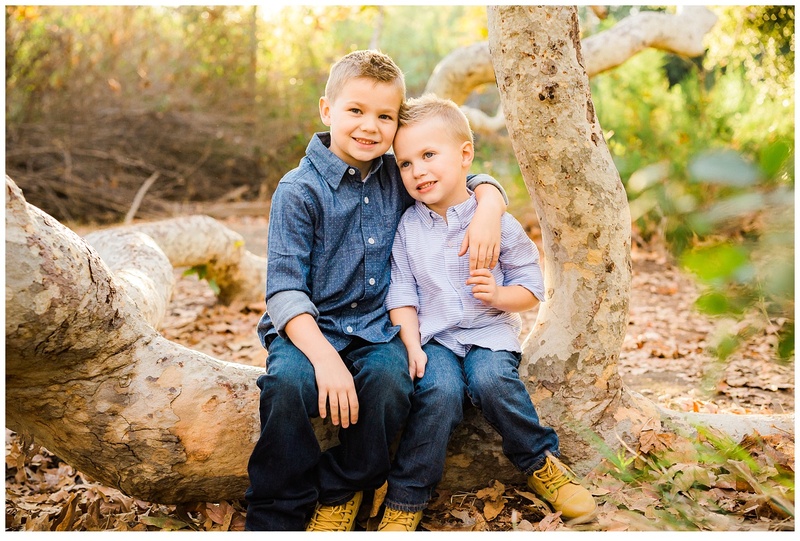 By working with me you can be sure you will end up with many images you never dreamed of having of your children. Why? Because I see this as a challenge that I thrive upon. 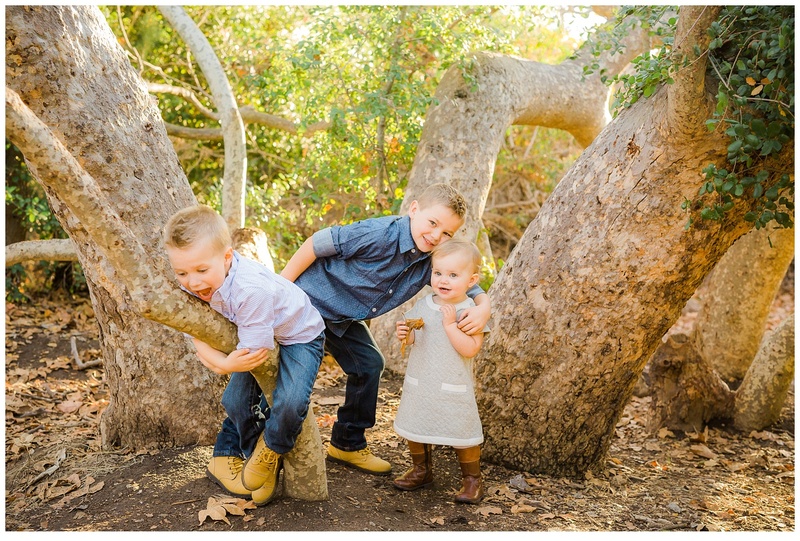 Crazy kids who won’t cooperate for the camera are my specialty. Truly! So, what are you waiting for? Get in touch today to schedule that session. 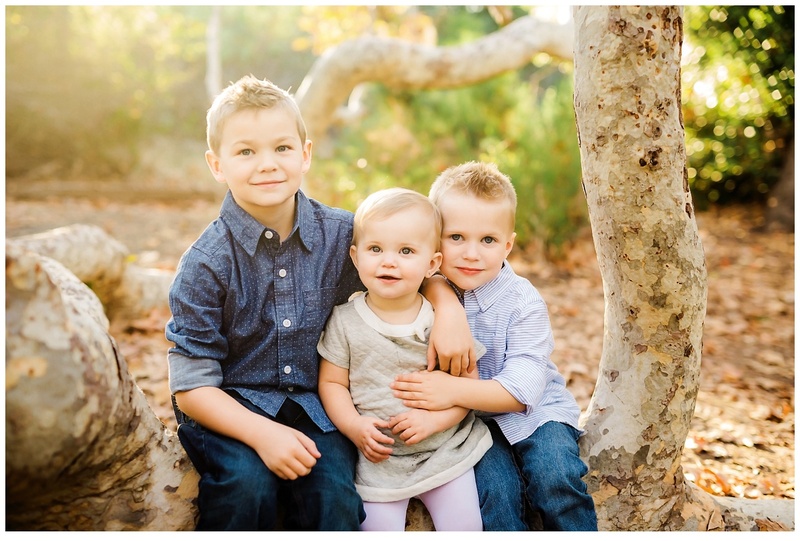 Time is fleeting and kids grow much too fast. Let’s freeze time together! 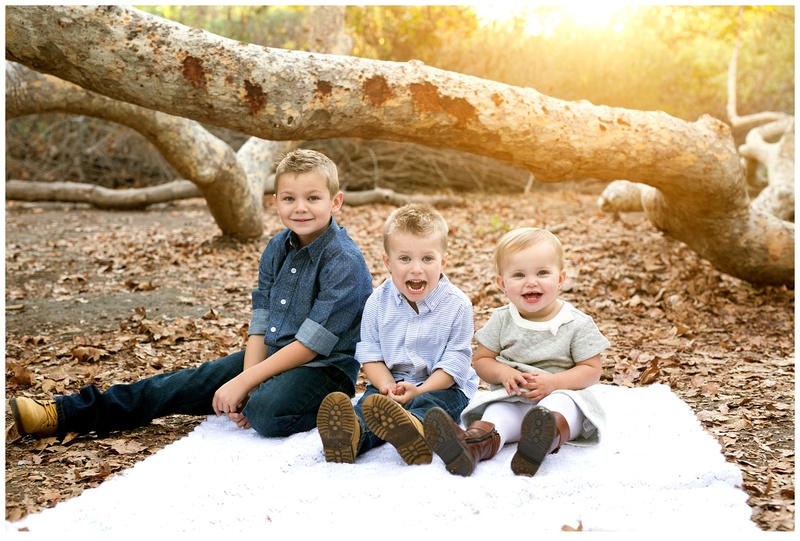 Be sure to check out the gorgeous canvas wall grouping that this Mom ordered for her home, at the end of this blog post. It turned out beautifully! 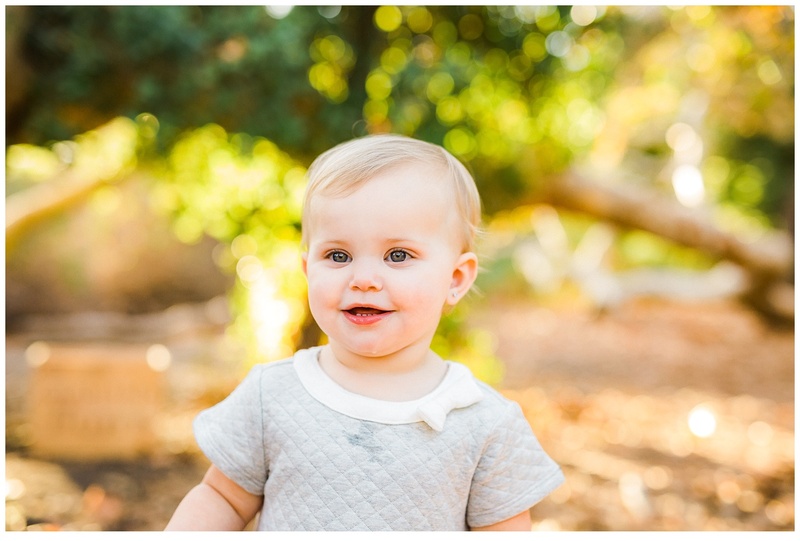 Delivery day is my most favorite because I love seeing my clients’ eyes light up when they see their images in print! The pictures were amazing and the kids still look at them with pride pointing to themselves!! We will deffinitely being shooting a new session soon!! Thank you Chrissy! 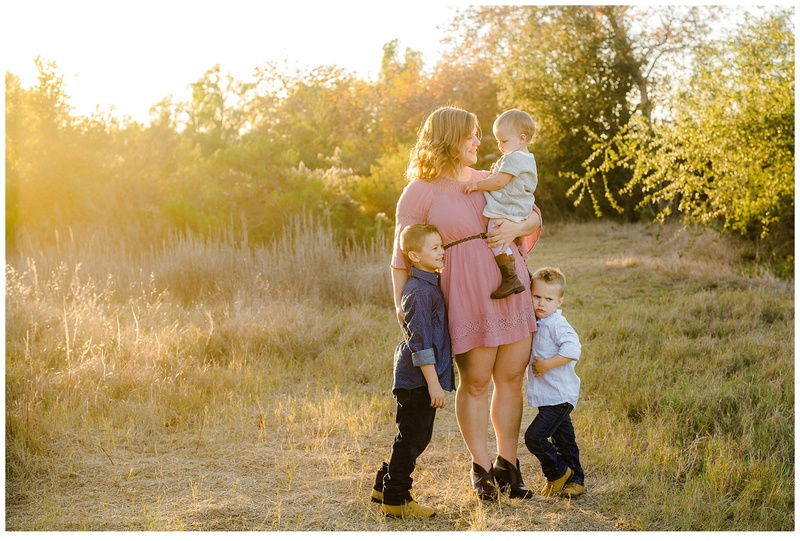 It was so much fun photographing you and your kids. 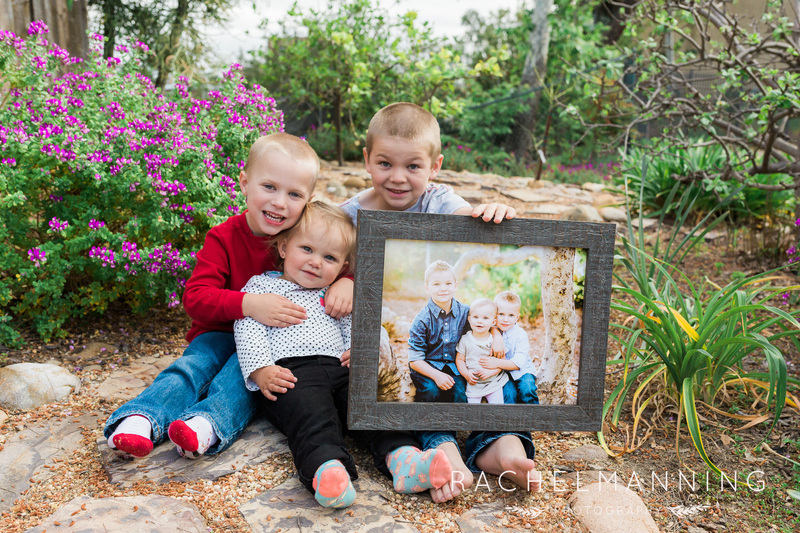 I can't wait until our next photo session so I can see how much they have grown! 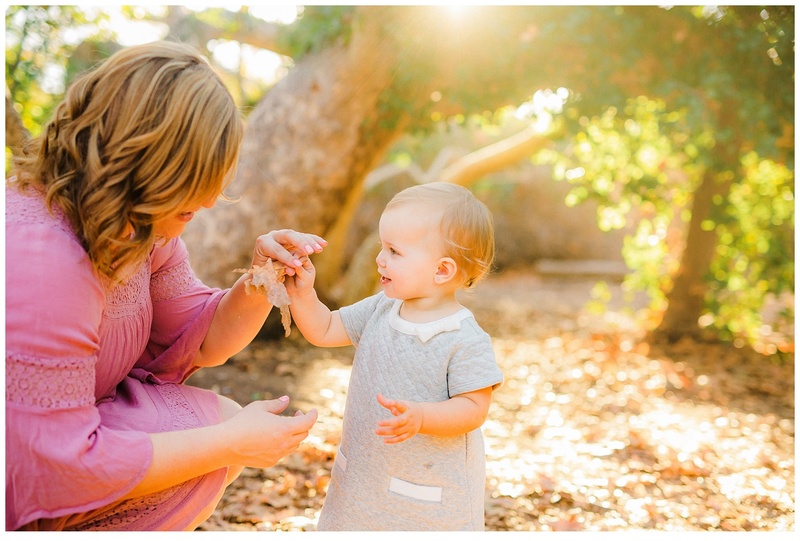 Awww love this momma session. Lovely location & beautiful light!! 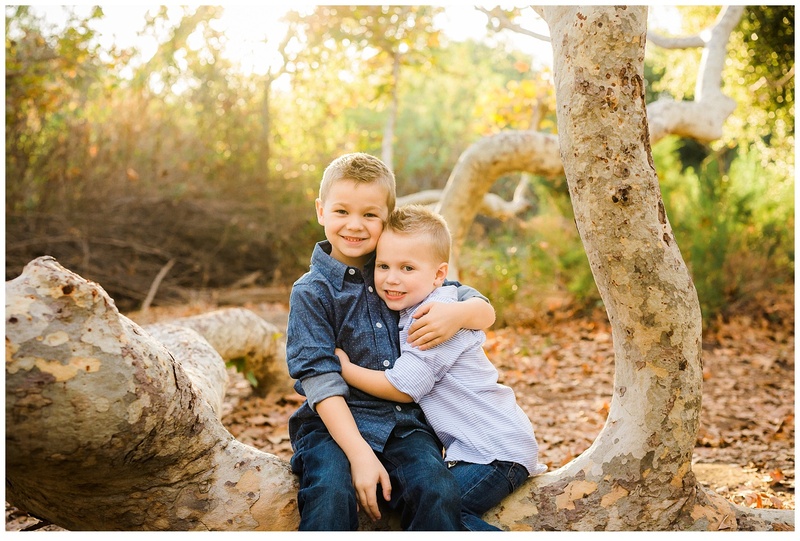 San Diego certainly has some beautiful locations for family photos. These are great! Lovely photos! You did a great job! 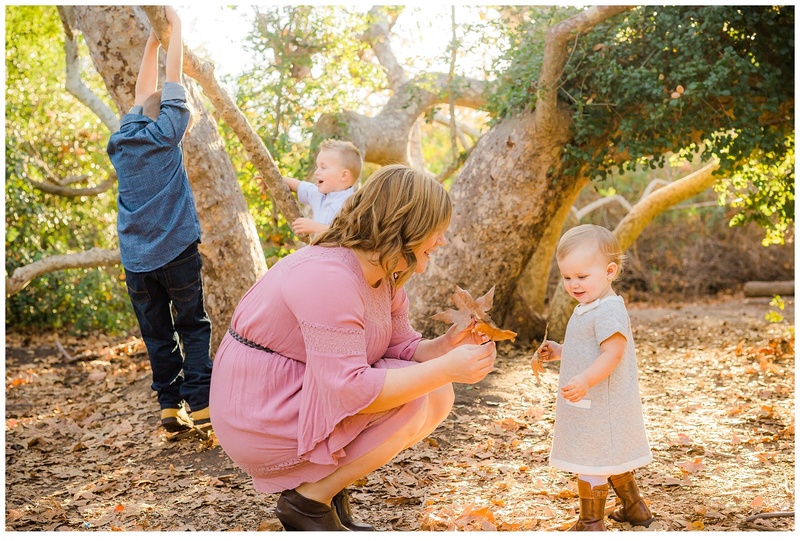 Beautiful San Diego family session! Love the fall colors. 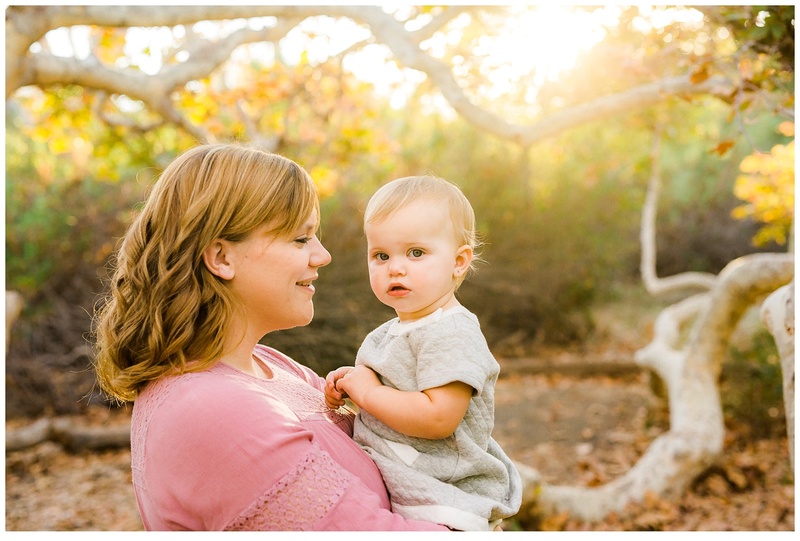 What a beautiful mommy and me session at Los Penasquitos Canyon! Love the light coming through the trees. You have the magic of capturing such joy in these children. Thank you so much Kaori! 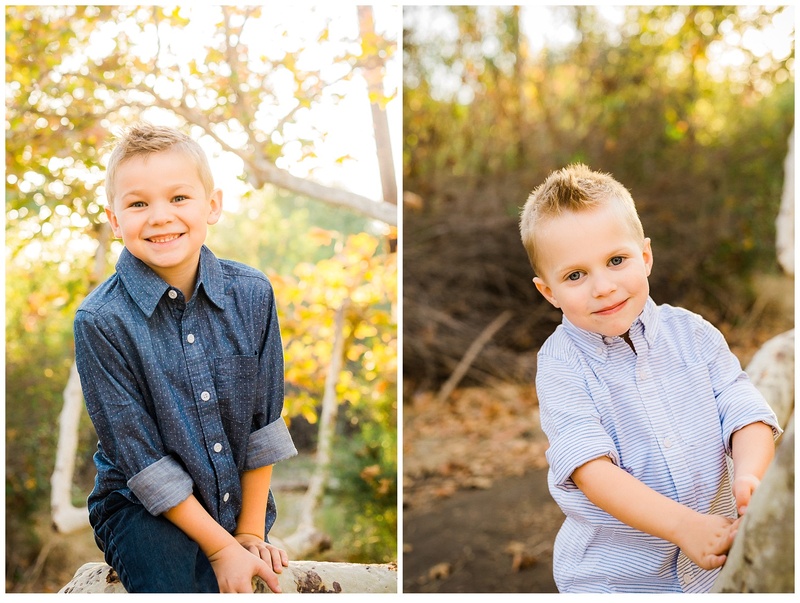 Oh I love the light at Penasquitos in these Fall months! 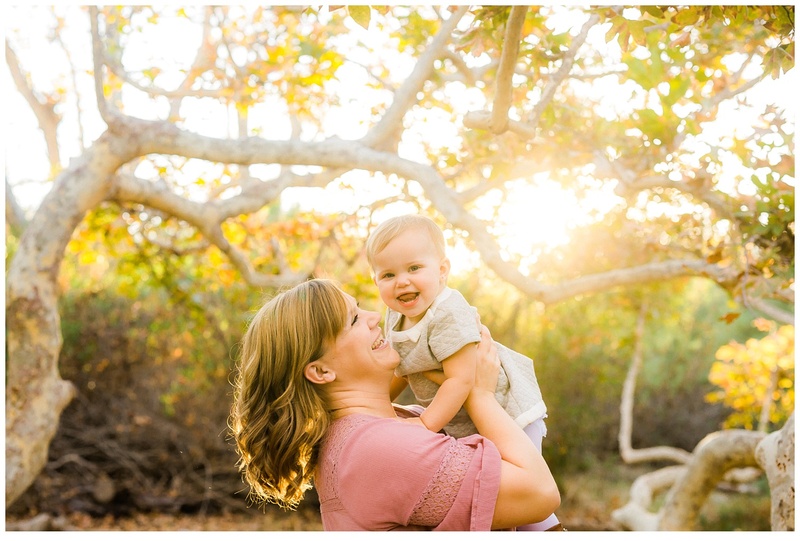 This mommy-n-me session is so perfect- gorgeous golden light, playful laughter, and sweet cuddles too! 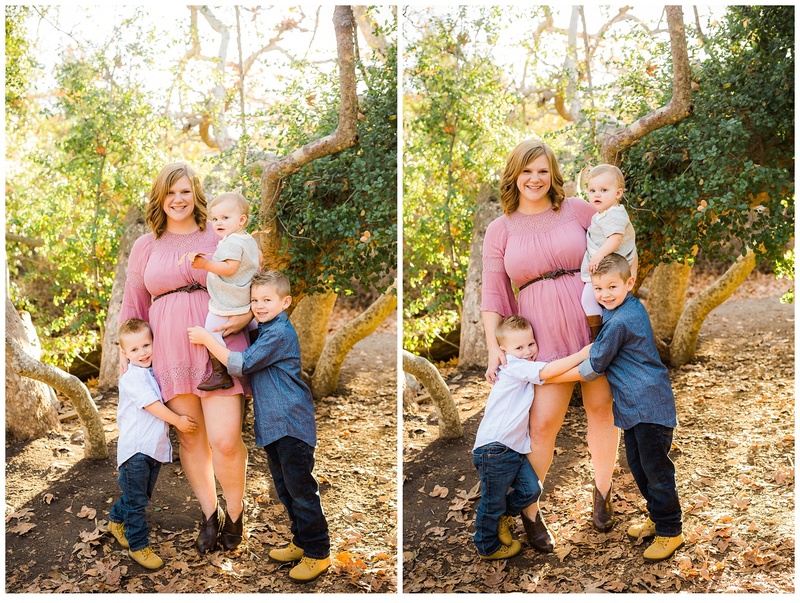 What a treasure for this stunning Mama! 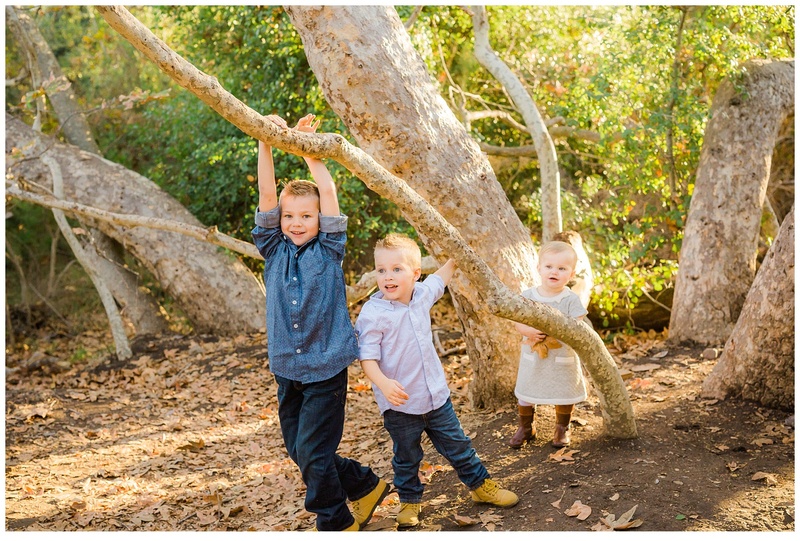 Every mom's dream to have a session with her kids like this! Everything is so beautiful about this session! So many full of love moments!!! The light is just amazing! Thank you, Angela! I love the golden light in this session too. 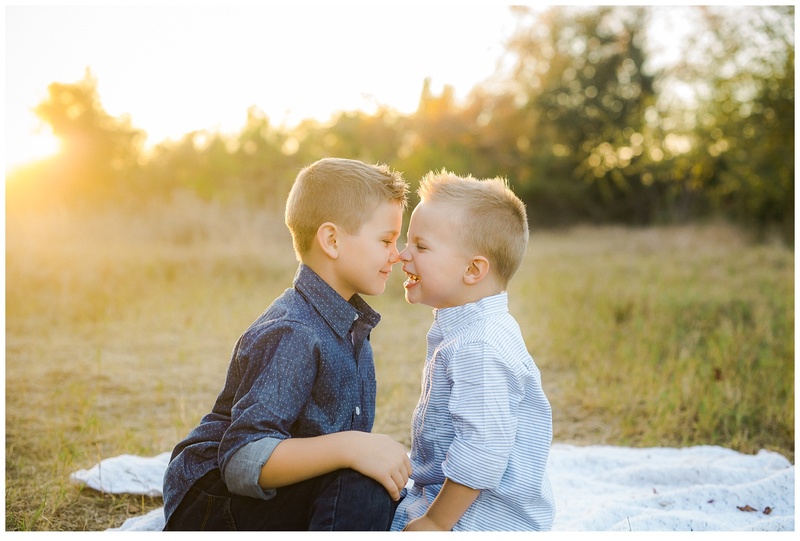 They were a joy to photograph.